DERMOT DOHERTY and Richie Gallagher felt the wrath of the Irish spring in Dundalk on Sunday, where Cuchulainn CC threw their annual Traders Cup party. While Gallagher’s early break in the A race came unstuck after 30km, Doherty went away with 15 riders the first time past Ardee in the A4 event and when they swept through Ardee again, he was still in the remaining eight. Gallagher said: “Derm rode a brilliant race in the A4. He had great legs and was well positioned for the finish in that bunch of eight. Not a fan of sprinting, Derm went for a flyer about 2k from the line, getting a good gap but unfortunately cramping with about a 1k to go. It was a one-two for the hosting team in the A4 with Anthony Crosby beating Aidan Delaney and Clondalkin CC’s Stephen O’Glesby getting third. 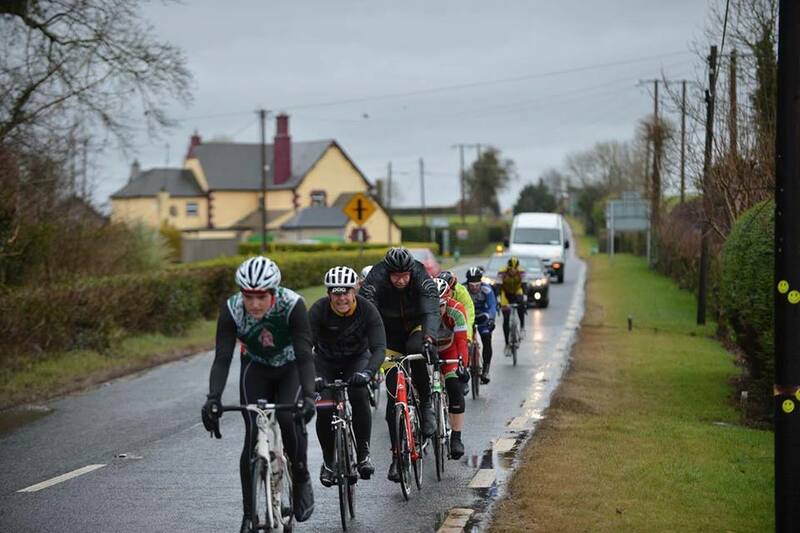 The 75km A race was won by rising star Darragh Zaidan, riding for Adamstown. He beat UCD’s Eoin Mortin and Ken Tobin from Bike Worx. Of his performance, Gallagher added: “Derm and I left Dublin early this morning not really expecting much, bar some mild hypothermia, but the racing turned out to be interesting for us both. “With an apathetic bunch of A3s, who were content to just wait for the fast guys, myself and three other riders established a break after 7kms. We kept it going for just over 30km and had 50secs going through Ardee for the first time, but my legs started to cry off not too long after that. No Replies to "Doherty makes break in wet Traders Cup"